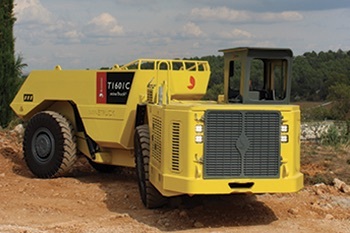 Safety and reliability are at the heart of Aramine’s projects making our mining trucks a reference in the field. 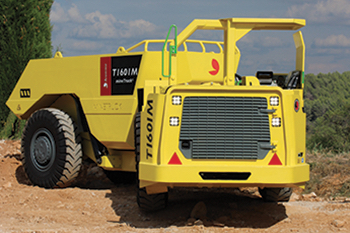 Developed for small to medium sections, our 15ton mine trucks are adapted for 9 to 20 sqm galleries and has been designed in two different versions, mechanical and electronic. 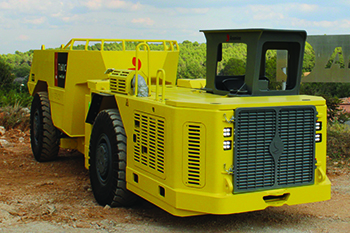 Our R&D department has recently launched the smaller made in France mine truck. 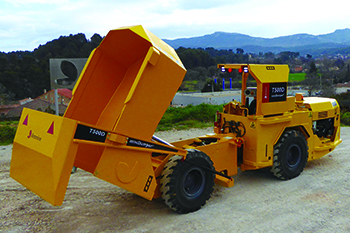 The T500D miniDumper®, designed for narrow vein mining, is simple and reliable.